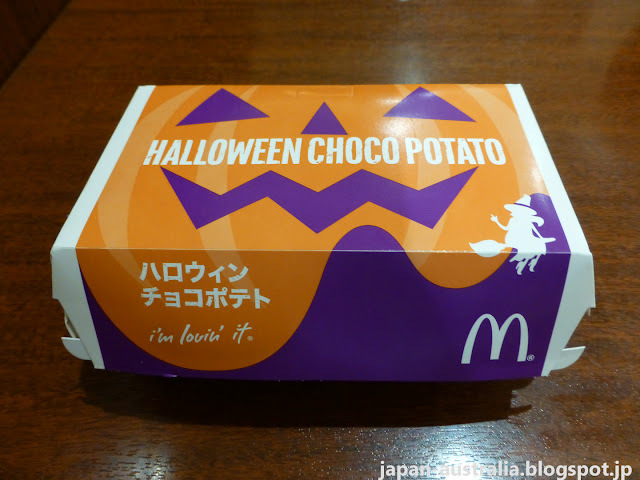 McDonald’s Japan has joined the Halloween party by introducing some pumpkin flavoured treats to celebrate the scary season. 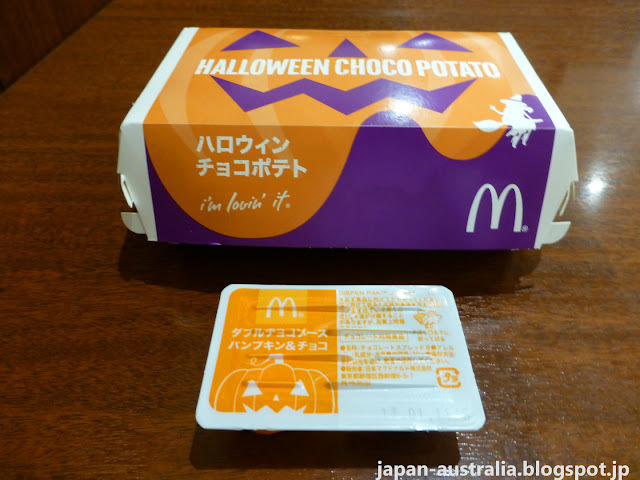 The “Halloween Choco Potato” released to mark its 45th anniversary in Japan features golden McDonald’s French fries covered in a pumpkin and chocolate sauce. This isn’t the first time McDonald’s have released chocolate covered fries in Japan. 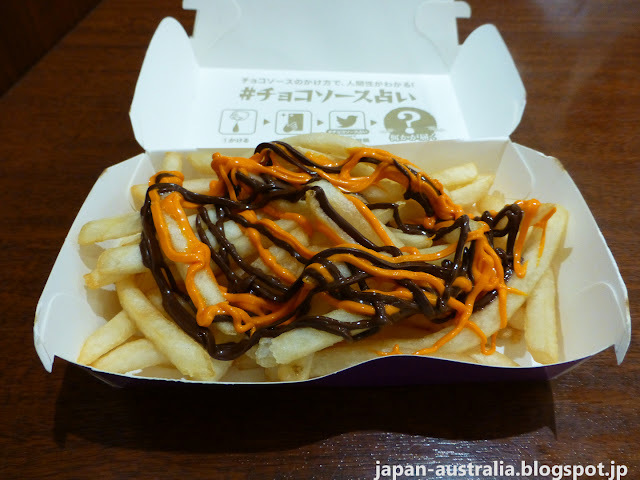 Earlier in the year, they created some huge media buzz with their “McChoco Potato”, French fries covered in a double chocolate sauce of milk chocolate and white chocolate. While they were only available for a limited time, the concept is now back for Halloween, with an all new addition of pumpkin added to the chocolate mix. 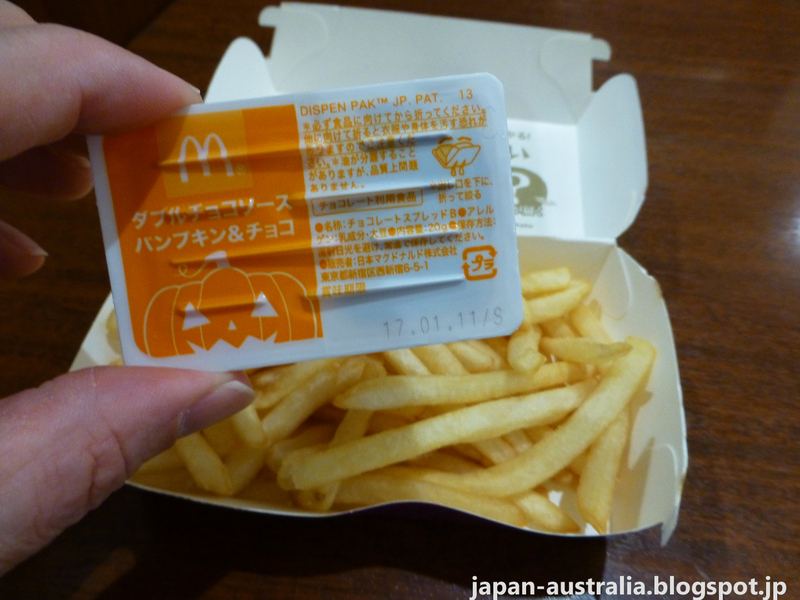 We at Japan Australia are always game to try something new, so headed to our local McDonald’s to test them out. How were they? Surprisingly very good! The flavour combination of sweet & savoury work really well together and the fries tasted really good. It wasn’t too sweet with the mild and subtle sweetness from the chocolate combining well with the saltiness of the fries, which was balanced nicely with the savoury fruity pumpkin sauce. A real winner in our books! 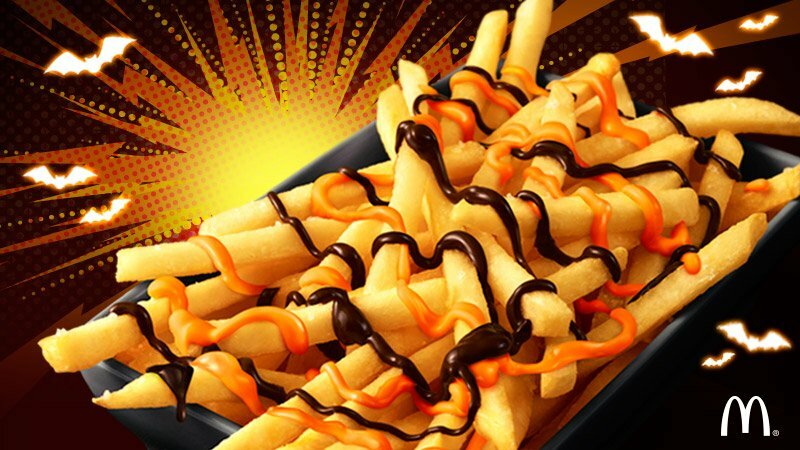 The Halloween Choco Pumpkin Fries are available for a limited time until Halloween at McDonald’s restaurants across Japan and cost 330 yen (USD$3.28). You can also purchase them for an additional 60 yen as part of any set deal. Hurry before they vanish like a ghost from the menu forever.